It’s safe to say there is no future in Windows past Windows 7 because M$ has blatantly lost the plot and started practicing satanic worship publicly rather than behind closed doors. 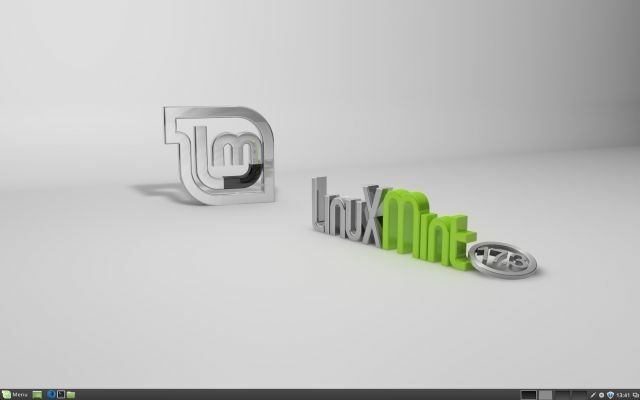 The Linux Mint project recently unveiled Linux Mint 17.3. 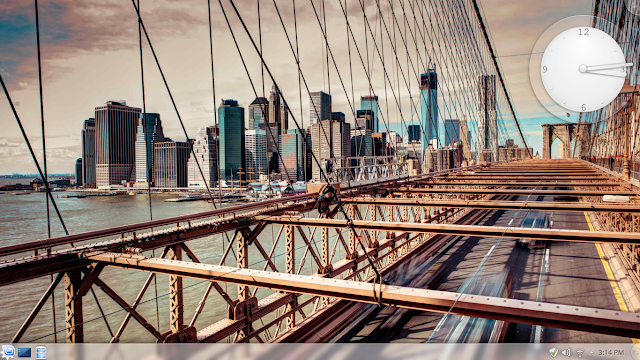 The latest release from this Ubuntu-based Linux distro just might be the best Linux desktop around. Linux Mint 17.3 arrived a few days late and had a somewhat bumpy launch thanks to some server hardware issues that temporarily knocked the Linux Mint blog and forums offline. 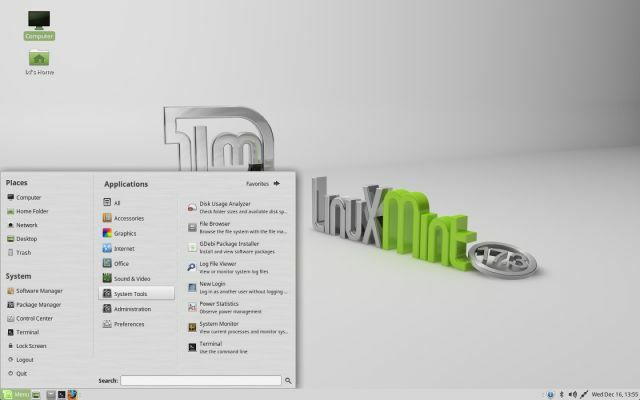 The final version of Linux Mint was out there, but few knew about it until a few weeks later. This is a big release: Linux Mint 17.3 marks the final release that will be built atop Ubuntu 14.04 and marks the pinnacle of the project’s plan to stop chasing every Ubuntu release and focus on perfecting what makes Mint, well, Mint. When Ubuntu puts out its next Long Term Support release in April of 2016, Mint will have to upgrade its base system. Mint’s LTS strategy was a risky move, as it bucked several trends by opting to pass on whatever butterflies Ubuntu was chasing. Sticking with a stable base and steadfastly refusing to inflate its version numbers may well have left some users at a loss. Jests aside, turning its back on the latest and greatest GTK and kernel updates that come from tracking Ubuntu’s every move is not without some costs, but overall the strategy seems to have been a huge success. The developers of Linux Mint have shown that they have the vision and are willing to put in the actual work to produce one the best desktop experiences around. The Cinnamon edition is not just the most polished Linux desktop around, it’s possibly the most polished desktop period. Hyperbolic? Perhaps a little, but this really is the most thoroughly thought-out desktop I’ve ever used, Linux or otherwise. Mint’s lead developer Clément Lefebvre and team have done a great job of keeping most of the userspace packages much more up-to-date than the Ubuntu 14.04 base would lead you to believe. There are exceptions—GNOME/GTK is probably the most noticeable, being stuck at 3.10, and the kernel also lags behind at version 3.19—but for the most part, the latest version of all the apps you’re likely to use are either available in the Mint repos or just a PPA away. And thanks to Mint’s amazing package management system, finding, installing, and keeping track of apps and even PPAs is surprisingly simple. If you don’t want to think about the OS you’re using—that is, if you want to click a button that says “Menu” to launch an app or open a folder named “Documents” to find your files—Cinnamon is going to make you happy. Cinnamon is for people who want their desktop to get out of the way. It does not revolutionize any paradigms and it probably doesn’t work very well on that mythical Linux tablet that GNOME is still waiting for, but it does offer one of the best, most-polished experiences you can get on a laptop or desktop. And by polish I don’t mean the theme looks nice—though it does, albeit not much different from the last few releases—I mean the functionality and workflow. Cinnamon has smoothed down the rough edges of common tasks you do everyday, like listening to music, browsing your files and applications, updating and installing software, and getting notifications from background applications. The things you do the most are the things Linux Mint wants to improve on, not by changing the way you do them, but by making them easier to do. In this release that translates into a number of improvements in commonly used taskbar applets and tools like the sound applet, power applet, system tray, and Mint’s package management system. Let’s start with the improved sound applet which resides in the far right side of the system tray by default. It’s a small thing, but if you like listening to music while you work, you’ll probably interact with the sound applet all the time. In Linux Mint 17.3 the sound applet has been improved to add playback controls over the cover art, including a progress bar you can use to skip forward and back. There’s also a new right-click menu that gives you access to all the settings and adjustments you’re likely to ever need are right there in the pop-up window above the applet icon. If you have multiple output options, you can switch between them right in the applet. As of Mint 17.3 output devices now show both their name and their origin, which makes it easier to figure out which “HDMI Audio Controller” goes with which HDMI port, for example. 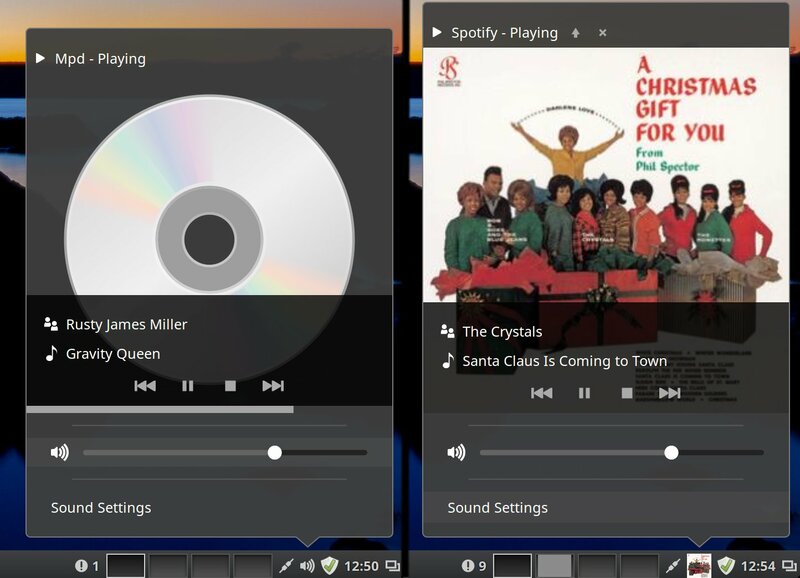 The applet can also quickly switch between audio players—for example, pause Spotify and switch to your local player when you lose connectivity—or quit audio players without actually switching apps. You can also quickly mute both input and output. Enlarge / The revamped sound applet in Mint 17.3 handles everything from MPD to Spotify. In my testing I never encountered any music-related task that I couldn’t handle right from the applet—no need to open your music player or dive into the system settings. In fact, if you use the venerable Music Player Daemon to play your music, the applet is all you need to have running. One final touch worth noting: by default the Cinnamon audio applet hides an audio application’s native system tray applet (if it has one). If you prefer, for instance, Spotify’s native applet, there’s an option in the sound preference pane to tell the sound applet to stop hiding other sound applets. GNOME developers take note: it’s possible to build something cool, accept that some people won’t like it, and then accommodate those people by giving them an option to turn it off. Strange that offering choices and options have become a Linux desktop feature that’s worth mentioning. Another frequently used applet that sees a makeover in this release is the power applet, which —like the audio applet—offers more detail and control. Now you can quickly see the battery state not just for your laptop, but any attached devices like a wireless mouse or keyboard. The rest of Cinnamon’s system tray has some improvements as well. The workspace switcher applet now shows a little visual representation of your workspaces, with little rectangles corresponding to each window inside of them. The icons are tiny, but it can be helpful if you have a lot of workspaces open. Enlarge / The taskbar’s workspace switcher showing a preview of the windows in each workspace. Similarly helpful for quickly finding the window you want are the new thumbnails in the window list. This works just like its Windows equivalent: hover a tab in the task bar’s window list and you’ll get a little preview of that window. Again, it’s easy to turn this off in the window list applet preferences if you prefer the simpler tool tip look. Similar previews also show up in the Alt-Tab switcher if you pause between presses of the tab key. Enlarge / The taskbar’s window list now features an option to show image previews. Cinnamon’s Nemo file manager gets one noteworthy new feature that again, while small, simplifies another everyday task—renaming files. Nemo’s new “quick rename” feature allows you to rename files with a “slow” double-click. You’ll have to turn it on in the Nemo preferences (under the Behavior tab), but it makes it far easier to quickly rename things (it’d be nice to have a keyboard-based way to do this as well, perhaps using “enter” rather than return to trigger it). Cinnamon’s already-excellent support for HiDPI screens has been further improved, particularly if you connect to a HiDPI TV over HDMI. There are also improvements for HiDPI support in the login screen, including a fix for a bug that would sometimes cause the login screen to be very small. Instead of simply doubling the scaling value it actually calculates the best value between 1x and 2x based on your screen. Earlier I mentioned that Mint probably wouldn’t work well on a tablet, but this release does improve touchscreen support—there’s a new on-screen keyboard in the login screen which means it’s easier to login from mobile devices. Cinnamon 2.8 is a welcome update, but it’s worth noting that, while Cinnamon is now available in quite a few distros, Linux Mint remains the stablest, best implementation around. In fact, in my testing Cinnamon 2.8 was considerably buggier than previous versions I have tested with the otherwise very nice Fedora 23. It’s hard to say where the blame for that lies, or if anyone is to blame at all, but at the end of the day if you want the best Cinnamon experience, you’ll find it in Linux Mint. The Cinnamon Edition of Linux Mint is very clearly the flagship release. However, while Cinnamon is Mint at it finest, there is also a MATE-based edition Linux Mint which could best be described as “Cinnamon light” and offers a good option for older or less-powerful hardware. 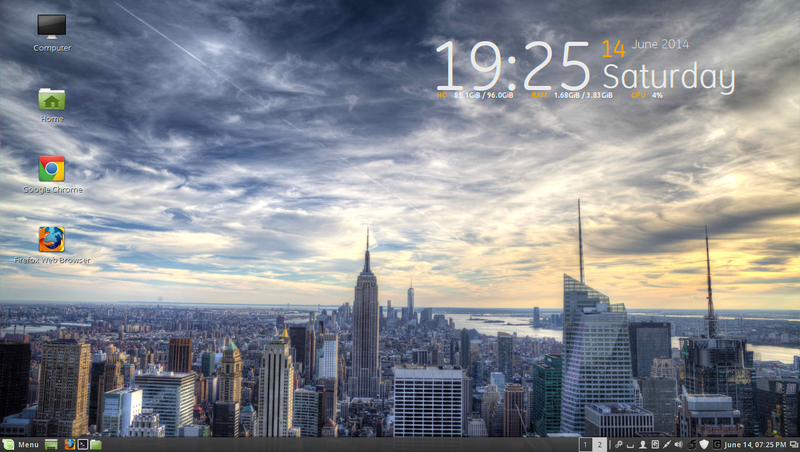 Enlarge / The default Linux Mint 17.3 MATE desktop. Linux Mint 17.3 features MATE 1.12 and includes some very nice new features, including support for more window managers out of the box. In previous release,s MATE gained support for Compiz (complete with old-school wobbly windows, not enabled by default when you switch the Compiz). Now MATE supports the Compton and Openbox windows manager as well. The latter is particularly welcome since it’s very lightweight and will go a long way to make MATE feel faster on older hardware. The display manager switcher itself has also been updated and can now switch on the fly, eliminating the need to log out and log back in for changes to take effect. A fair bit of what’s new in MATE involves porting features over form Cinnamon. For instance the power applet features mentioned above are also available in MATE, albeit through a much-simplified interface. There’s some added hardware support in this release as well, particularly for touchpads, which now offer support for two- and three-finger taps/clicks for right and middle clicks respectively. There’s also now an option to use Apple’s so-called “natural scrolling,” which reverses the direction of scrolling. The attention to detail in Linux Mint 17.3 is not limited to desktop features, but extends down into shared, lower-level features like Mint’s software and update managers. Linux Mint has been steadily refining its package-management tools for some time now and that process is still ongoing. Consider the following rather common workflow: you install Mint from a USB stick and now you want to pull down all your applications. On most distros, you open up some kind of “software center” and start downloading. End of story. The same process is true in Linux Mint, but before you actually start downloading Mint helpfully offers to scan all the available software repo mirrors and find the fastest one. It then tests the speed of the mirrors and makes sure that the packages are up-to-date. The tests will start with the mirrors closest to you and then work down the list. In most cases the fastest mirror will likely be close, though not necessarily the closest. In my case. the default mirror selected during installation tested at 872KBps while the top speed available ended up being 3MBps. It takes an extra minute or two, but being able to download new software and get updates at (in my case) over triple the speed is well worth it. Enlarge / The Software Sources app scanning for the fastest, up-to-date mirror. Two other very nice new features include a warning in the update manager if something is wrong with a current mirror and a compatibility test for any PPAs you add. I also noticed that if you copy a PPA to the clipboard, open the software manager, and click the plus button to add a new PPA, Mint will automatically fill the field with what’s on the clipboard. It’s a small thing (and possibly not new), but it shows the level of polish and attention to detail in Linux Mint. This release sees a couple of updates for a piece of software I wish more distros would copy: Mint’s Driver Manager. Driver Manager now automatically refreshes, notifies you of any available updates, and indicates if drivers are Open Source or not. When Ubuntu gets back to focusing on the desktop, this would a great piece of downstream work to incorporate into Unity. Let’s talk about what you’re not going to get with Mint 17.3: namely, the latest kernel and subsystem packages. The kernel has indeed been updated since 17.2, but, as noted above, the kernel in Mint 17.3 is still at 3.19. That’s not exactly ancient, but it is a good year behind where nearly every of distro is today. With the exception of a few very conservative distros primarily aimed at server farms, pretty much everything is on the 4.x kernel by now. There’s a good bit of hardware support Mint is missing out on. The good news though is that Linux Mint 17.3 will be supported until 2019 and the project does plan to offer kernel updates. In fact an update to the 4.2 line is in the software repositories already, though the Mint blog cautions against updating just yet, especially if you’re using any proprietary drivers. The 4.2 kernel in the repos is known to not work with fglrx (ATI/AMD drivers) and ndiswrapper (a fairly common set of wireless drivers). The plan is get these problems fixed “before February 2016” at which point upgrading should be safe. In other words, a newer kernel is coming, so if your hardware needs it just exercise some patience. Otherwise, if you’re feeling like you need a potentially system-destroying holiday project, you can try the upgrade now on your own. Linux Mint 17.3 is the final Mint 17 release and should put to rest any worries about Mint’s plan to stick with Ubuntu LTS releases for its base. Mint has done what it set up to do, namely improve the Cinnamon desktop to the point that it not only matches, but in many places far exceeds the user experience found in other options like GNOME, and especially, Unity. Indeed, it’s hard to look at Mint 17.3 without comparing it to its upstream base. While Mint has been continually working hard on the desktop and cranking out release after release, Ubuntu has stagnated. If Ubuntu wants to leapfrog past some of its pain points, its developers would do well to look downstream. Mint’s package management tools are simpler, more comprehensive, and easier to use than anything Ubuntu offers. Mint also manages to do all this without anything even remotely close to the resources Ubuntu enjoys. Perhaps the most worrying thing about Mint is that it’s based on Ubuntu, the future of which looks a lot less bright than it used to. There is of course Linux Mint Debian Edition, but it tends to lag well behind its Ubuntu-based brethren when it comes to updates and polish. Despite the possibly cloudy future of Ubuntu, there’s no reason to panic on Mint’s behalf just yet. The next major step for Mint will be the transition to Ubuntu 16.04 LTS when it’s released in April of 2016. At that point development on Mint-specific features will probably take a back seat to making sure that everything works with the new base. Once that’s done though, expect Mint to return to focusing on what makes Mint great. Let Update Manager check for available updates and apply them all. Note: during the updates you might be asked whether you want to replace a configuration file. Don’t replace it: although replacing is generally safe, it’s usually unnecessary. Afterwards reboot your computer (not always necessary after updates, but in this case, do it just to make sure). 1.2.1. Mint deviates from the Ubuntu way, where the so-called “recommended” packages are concerned. When you install software yourself, Ubuntu installs the recommended packages by default, but Mint does not. 1.2.2. You’re probably going to use the terminal from time to time, because it’s the mighty “Swiss Army knife” of Linux. But the default appearance of the terminal window can be made more practical. You can do that as follows. Menu bar of the terminal: Edit – Profile Preferences (or: right-click with the mouse in the black space of the terminal – Profiles – Profile Preferences). Tab Background: select Solid color. 1.2.3. The default settings of Update Manager are very cautious; that’s a characteristic of Linux Mint. Stability first and foremost. In itself that’s good, although Ubuntu (on which Mint is built) is less cautious with updates. And Ubuntu is also stable and reliable. It might be worthwhile to make Mints Update Manager a little less cautious: that gives you the advantage of extra bug fixes and extra security updates. Note: if you’re an absolute beginner with Linux, then maybe you’d rather change nothing in Update Manager. That’s OK, too. Without any changes you still have a secure system. Much more secure than Windows, for example…. It’s therefore not strictly necessary to change things. But it is important that you understand these aspects of Update Manager. That’s why this is listed among the essential things to do. If you don’t want to change the settings of Update Manager (yet), you can simply skip this. You can change the settings of Update Manager like this (*Click*). 1.3. Installing drivers is usually not necessary, because they are already present in the Linux kernel. Exceptions are proprietary restricted drivers for (among others) Nvidia and AMD/ATI graphics cards. a. Install your printer and scanner in this way (*Click*). When available for your system, this tool will present you with one or more installable non-free drivers. Select them. The required drivers are then automatically downloaded from the internet, from the software repositories of Mint, and (also automatically) installed. Afterwards you’ll have to do a full reboot of your computer. Only choose from the versions that you’re being offered, because only those support your video card! Start with the preferred number one, and only work your way down when it doesn’t perform well. Do you have a brand-new graphics card from Nvidia or AMD/ATI? Then it might be too new for the version of the proprietary restricted driver in the software repositories of Mint. In that case you won’t be offered any proprietary driver by Driver Manager. If this happens, then you can look for another solution for your Nvidia card on this page. For an AMD/ATI card it’s better to stick with the default open source driver and wait until the next Mint release, which will probably provide a newer proprietary driver. 1.4. Do you have a Solid State Drive (SSD) instead of a conventional hard disk? Thenoptimize it for Linux Mint. 1.5. a. By default, Adobe Flash Player is present in your system. Which is fine, because you need that for viewing flash videos. But the source it stems from is often not updated quickly enough, which makes your system vulnerable. Note: installing this new package will remove two existing packages, namely adobe-flashplugin (which is what you want) and mint-meta-codecs (which is a useless remnant list file, so safe to remove). b. For file management with root authority, it’s best to use a stand-alone simple file manager that’s not embedded in your operating system. Because otherwise you run the risk of messing up the file permissions in your home directory. Such a simple stand-alone file manager is GNOME Commander. For the same reason it’s best to use a simple stand-alone text editor, for editing system-wide configuration files with root authority. Such as Leafpad. A very useful tool for sound management is pavucontrol. And finally, for finding files, the simple, user-friendly application Catfish is a superb tool. 1.6. 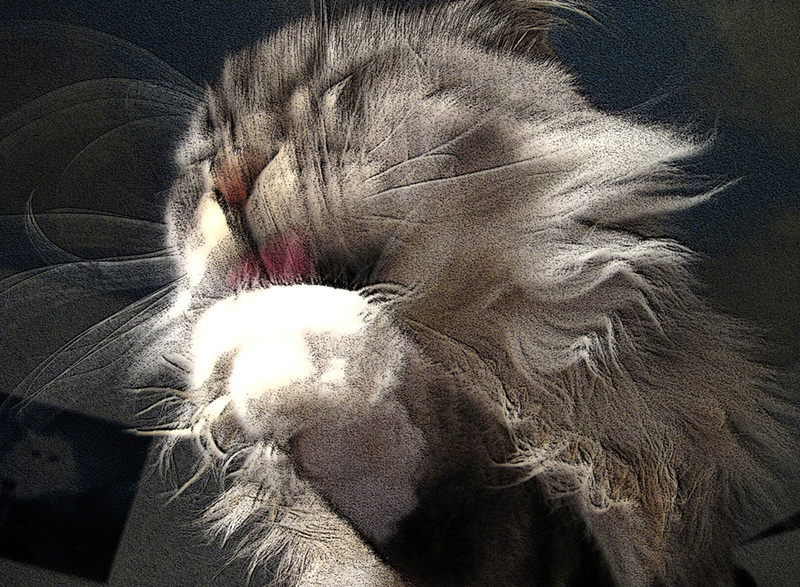 This is especially noticeable on computers with relatively low RAM memory (1 GB or less): they tend to be far too slow in Linux Mint, and Linux Mint accesses the hard disk too much. Luckily, this can be helped. On the hard disk there’s a separate partition for virtual memory, called the swap. When Mint uses the swap too much, the computer slows down a lot. Mint’s inclination to use the swap, is determined by a setting. The lower the setting number, the longer it takes before Mint starts using the swap. On a scale of 0-100, the default setting is 60. Which is much too high for normal desktop use, and only fit for servers. A detailed explanation can be found here (link dead? Then download this pdf file with the same content). Now it should be 10. 1.7. If you have a problem: have a look at the solutions for 15 bugs. Don’t skip this! There’s a 90 % chance that you’ll benefit from at least one of the workarounds presented at that page….. Written for Ubuntu, but applicable in Mint as well. Also relevant: the release notes of Linux Mint 17.3 Cinnamon. 1.8. There are 10 mistakes that you definitely want to avoid, for the sake of the health of your system. Written for Ubuntu, but applicable in Mint as well. 1.9. The firewall is disabled by default, but usually it’s better to turn it on. Especially on mobile devices like laptops, which sometimes connect to other networks than your own. The firewall is called Uncomplicated Firewall (ufw), and can be operated from the terminal. Uncomplicated Firewall (ufw) has a sensible set of default settings (profile), which are fine for the vast majority of home users. So unless you have special wishes: you’re done! I’ve printed the most important message in red: this output basically means that all incoming is denied and all outgoing is allowed. There are sensible exceptions in the default settings: for example, with the default profile the use of Samba should be no problem. Also downloading torrents (fetch) should be possible; but seeding torrents (serve), might require a temporal disabling of ufw. A further explanation about the firewall and security in general, can be found here. 1.10. The multimedia and font support can use some improvements. a. Use Software Manager or Synaptic Package Manager for installing some extra fonts. – Double-click ttf-mscorefonts-installer for installation and press the Install button. Funny detail: during the installation of the Microsoft fonts, which you definitely want to have, you’ll be asked to check a box stating that you accept a license agreement of…. Microsoft. Note: sometimes it may look like the installation has stalled. This is only seemingly so: simply wait. After a while (sometimes several minutes!) the installation should finish neatly. 2.1. By default, Mono is installed. This package is a security risk, because it offers Windows applications a limited opportunity to run in Linux. Unfortunately also malicious Windows software, like viruses and such. Furthermore, Linux Mint 17.3 Rosa contains screen reader Orca by default. Nifty, when you’re visually handicapped. But useless when you’re not. And it’s rather disconcerting when, after pressing the wrong key combination, your computer suddenly starts addressing you with a heavy bass voice…. 2.2. With a couple of changes in the settings, you can improve the performance of Firefox in Linux Mint. These tweaks will make this fine web browser leaner and cleaner. 2.3. The default office suite is the fine Libre Office. In order to improve it, you can tweak the settings of Libre Office. This aggressive sleep mode often leads to problems, because most manufacturers of BIOS and UEFI don’t stick to the standards for implementing power saving. So your computer may experience malfunctions after waking up, or even enter a coma from which it can’t awake at all. It’s therefore best to disable hibernation. Note: the sleep mode “suspend” (suspend-to-ram) is much less aggressive and therefore far less likely to cause problems. Press Enter and submit your password. Please note that the password will remain invisible, not even asterisks will show, which is normal. With that, you’ve moved the settings file that enables hibernation, to the main directory /(root). Thus rendering it ineffective. The new location is a safe storage, from which you can retrieve it again, should you ever wish to restore hibernation. c. Reboot your computer. Hibernation should now no longer be one of the options in the shutdown menu. Reboot your computer. The hibernate option should be back now. 2.5. It’s useful to have an extra web browser available. Firefox is a fine application, but now and then (especially when you’ve installed too many extensions or add-ons in Firefox), it doesn’t function entirely well. An excellent alternative to Firefox, is web browser Google Chrome. Unfortunately it’s not in the software sources of Linux Mint, but you can download its 64-bit installer from the download page of Chrome. That web page should automatically recognize that you’re running Linux Mint: it should offer you a preselected installer for Debian/Ubuntu, because that’s what you need in Mint. Double-click the installer, which has the extension .deb, as if it were a .exe installer in Windows. Then it’ll install itself automatically. Furthermore, it’ll add the software source for Chrome to your software sources list, so that Update Manager will automatically offer you updates for Google Chrome as soon as they become available. Note: do you have a 32-bit operating system? Then you can’t install Google Chrome. In that case select Chromium, which can be installed by means of Software Manager. Most plug-ins that you’ve installed for Firefox (not the add-ons and extensions, but things like Java) work automatically in Chrome as well. No need for further action for that. Not even for Adobe Flash Player, because Chrome already contains it by default. You can find tips and tweaks for Chrome and Chromium here. 2.6. You can probably speed up your Linux Mint noticeably, by applying these safe speed tweaks. 2.7. The default settings of Power Manager for a laptop, can be improved. To set it: click on the icon of Power Manager in the system tray (this time an ordinary left-click) – Power Settings – When the battery is critically low: set it to Shutdown immediately. To set it: click on the icon of Power Manager in the system tray (an ordinary left-click) – Power Settings – When the lid is closed: set it to Shutdown immediately. Both for “On A/C power” and for “On battery power”. 2.8. The best DVD burning application is currently Xfburn, because the default burning app Brasero is rather unreliable and regularly spoils your DVD’s. Xfburn on the other hand, is reliable, simple and easy. It has just one disadvantage: Xfburn can’t burn multisession DVD’s. So it can’t add to a DVD that already has some content. 2.9. Not an action but a warning: in Mint Cinnamon you can enable a lot of extra visual effects. Nice, and some of them look bloody good indeed. But they can cause a considerable extra system load as well, which may make your computer slower. Apart from that, they might even make your system less stable. For the most reliable and stable system, it’s therefore best not to enable extra visual effects. On the contrary: if you want to try to make your computer faster, it’s even often worthwhile to disable some visual effects that are enabled by default. Now you see a curved arrow appear in the panel. Not much use, because it’ll be busy “loading” forever. Now Firefox will open with a particular website. Fill out your location there: pick a nearby city with an airport, because the weather data are being supplied by the airfields. Fill out the acquired WOEID in the entry box of the settings of Weather. When you click on the Weather panel icon now, you’ll see a window with extensive meteorological data, plus a five-day forecast. 3.2. Mint looks nice out of the box, but maybe you want to change some of its looks anyway…. You can change your wallpaper in almost the same way as in Windows, but there’s one important difference. So: select a picture that you want for wallpaper. Double-click the picture file. Now the picture is being shown in the image viewer Eye of Gnome. Then, in the panel of that application: click Image – Set as Desktop background. You’re done. However, the important difference with Windows is this: Mint only creates a link to the picture that you’ve set as wallpaper. When you move or delete the picture afterwards, then your wallpaper disappears also, because the link is dead! So don’t throw away the picture, but put it permanently in your home folder. For example in the folder Images. And only then set it as wallpaper. 3.3. You can use Gigolo to access your network disk (NAS). 3.4. It’s easy to migrate your e-mails and e-mail settings from Outlook (Express) in Windows, to Thunderbird in Linux Mint Cinnamon. Simply apply this how-to. 3.5. Always fun: install some simple games. Press Enter. Type your password when prompted; your password will remain entirely invisible, not even dots will show, this is normal. 3.6. The Grub menu, from which you choose what operating system to boot on a dual boot computer, is practical but ugly. Luckily, it’s easy to make it prettier: *Click*. 3.7. Note: this instruction is only meant for desktops and laptops that have a separate numeric keypad, as it’s definitely not desirable to have the NumLock on by default on a laptop that has no such separate keypad. Reboot your computer. The numeric keypad should turn on automatically after you log into your user account. Startup delay: set it at 20 seconds. This will turn NumLock on, 20 seconds after login. The delay is necessary, because you have to make sure it happens after Mint has turned NumLock off. Note: user preference, so repeat this in each user account. Startup delay: set it at 99. Because otherwise it may conflict with the existing startup application mintupdate-launcher, which launches after 20 seconds. Now you should be presented with the window of Update Manager, 99 seconds after you log in. You can’t overlook it: it’s “in your face”. The disadvantage is, that you also get to see it when there are no updates at all. But that’s better than overlooking updates that need to be installed…. Enable Window Tiling and Snapping: set the switch to OFF. 3.10. When hovering with the mouse pointer above a minimalized application in the desktop bar, a window thumbnail pops up. Neat, but especially on smaller displays this can be annoying. 3.11. In the login window, the password entry box looks exactly the same as the user name entry box. That’s annoying, because before you know it, you’re entering your password in the user name entry box, for all to see…. Thankfully, this can be prevented with a simple measure. The login window remembers the last logged in user by default and preselects him. So by default we’re being trained in entering our passwords rightaway and “unseen”. By disabling that preselection, we’ll be trained to do it right: first click on the user name, then type the password. 5. You can get quick and friendly help on the official Linux Mint forum. Google Chrome now uses the Pepper API based flash player which comes inbuilt with it, so you don’t need to do anything for Chrome either. If you still prefer to download dropbox from the official website then head straigh tohttps://www.dropbox.com/install?os=lnx and follow the instructions and download the deb installers for Ubuntu. Copy is another cloud storage solution that has a native Linux client. Check it out at copy.com. It also has appa repository. Go to system settings, click on the specific icon and you would see a list to select from. Click the “Get more online” tab to download more such goodies. You might notice that Firefox has the Yahoo search engine selected by default and the search engine list does not have Google in it. Click “Manage Search Engines” > Get more search engines. It will take you tohttp://www.linuxmint.com/searchengines.php. Scroll down to the section of commercial search engines and find the Google logo and click on it. Once you are on the next page, click on the search engine list again and this time you would see an option “Add Google”. Click on it and Google search engine would be available. Give “File access – read and write to owner, group and others. Bleachbit – Free disk space by deleting old/temporary files. The “icedtea-plugin” is already installed which enables firefox to play java applets.